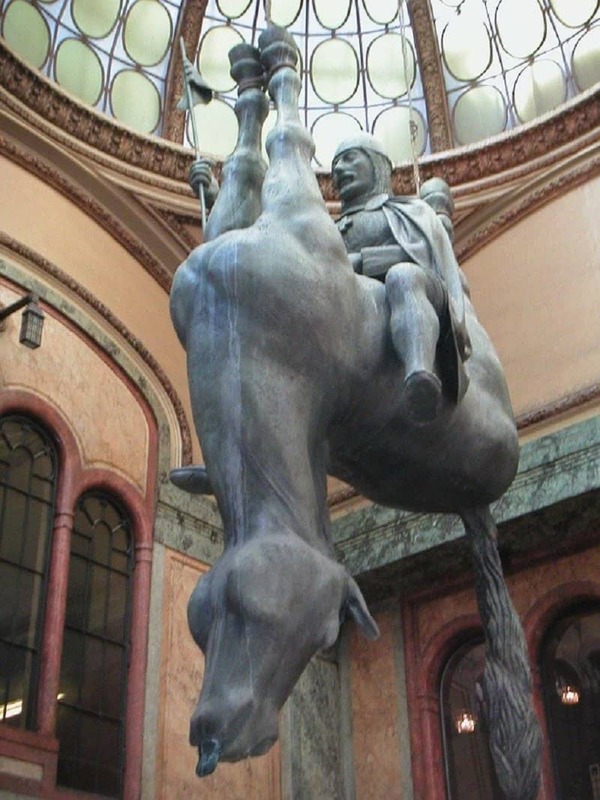 How else would an artist feature a saint if not riding a dead horse upside down? 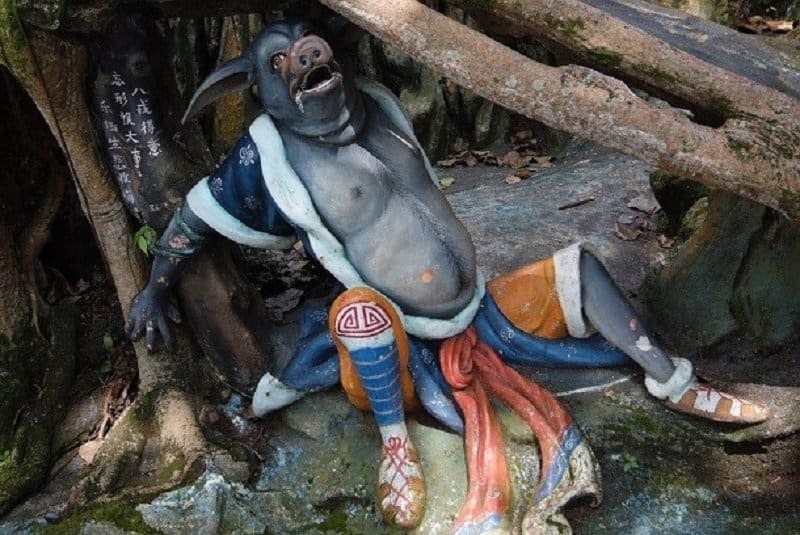 This bizzare statue can be found in a Prague shopping mall. 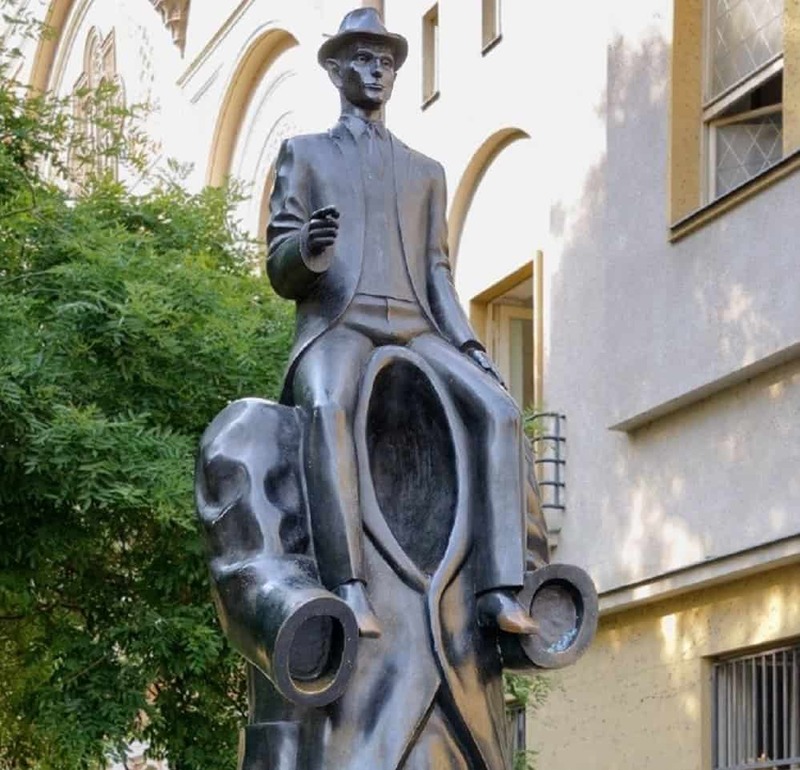 Berlin is known to be one of the most eccentric cities in the world, so it’s not that surprising to find out that it features a random robot sculpture on one of its streets. 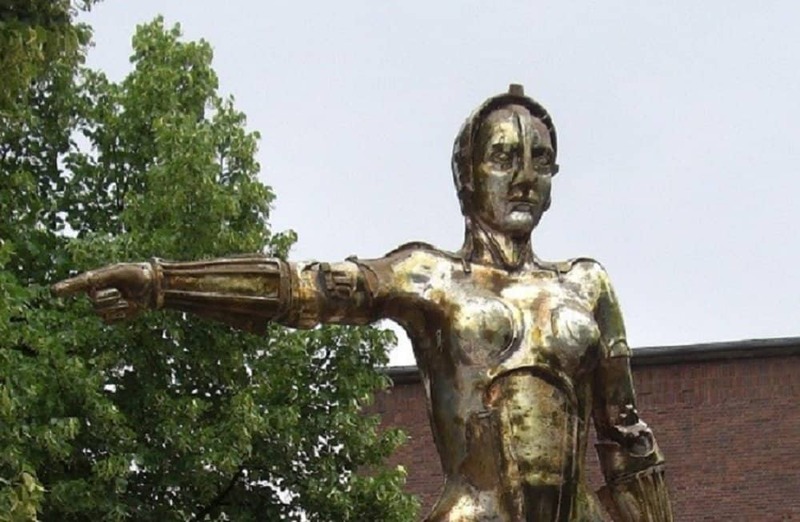 The robot by the name of Maria from the 1927 film “Metropolis” overlooks the neighborhood of Babelsberg. It kinda looks like C-3PO to us. 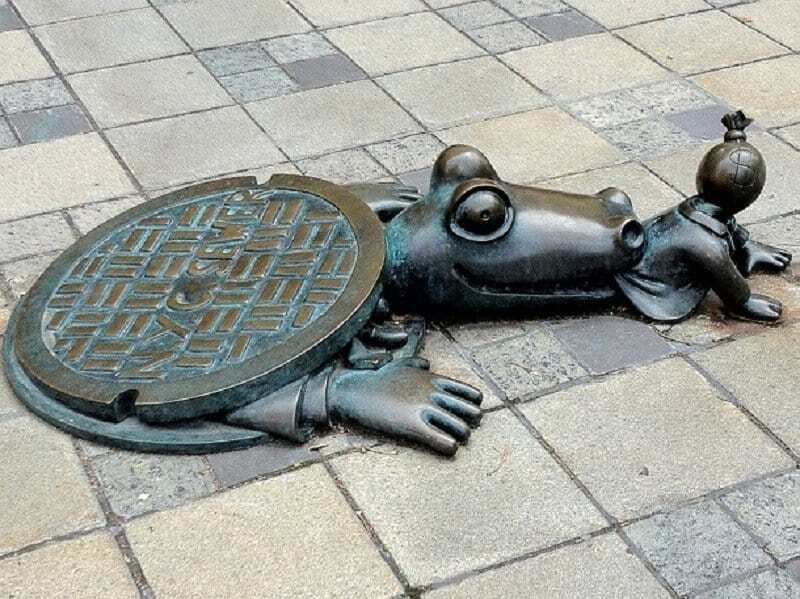 A hungry alligator statue in Brooklyn’s only purpose is to eat all the babies he can get to. 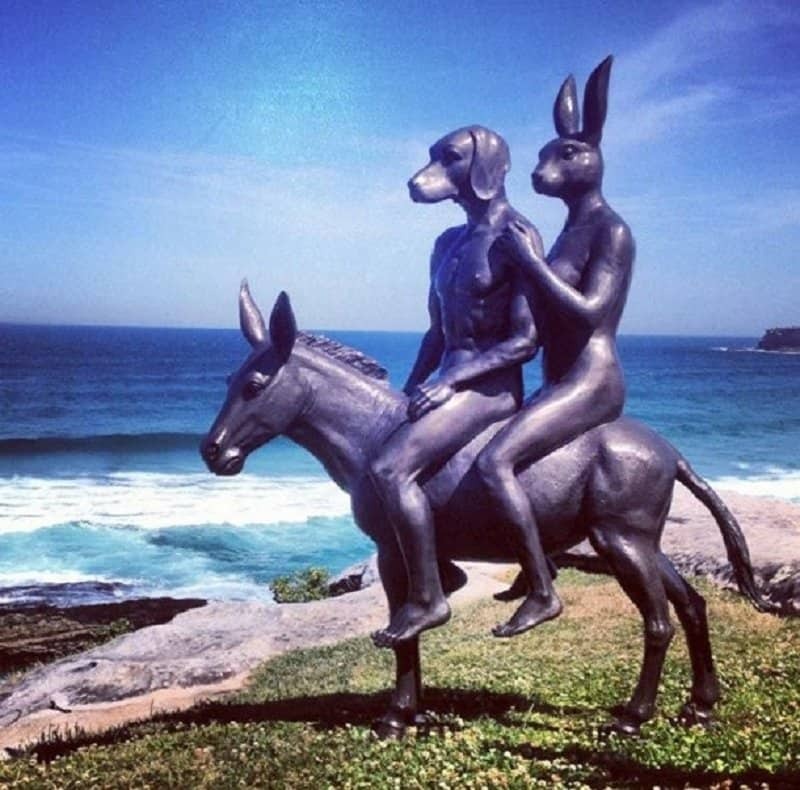 What is stranger than a man sitting on another man that has no head and arms? 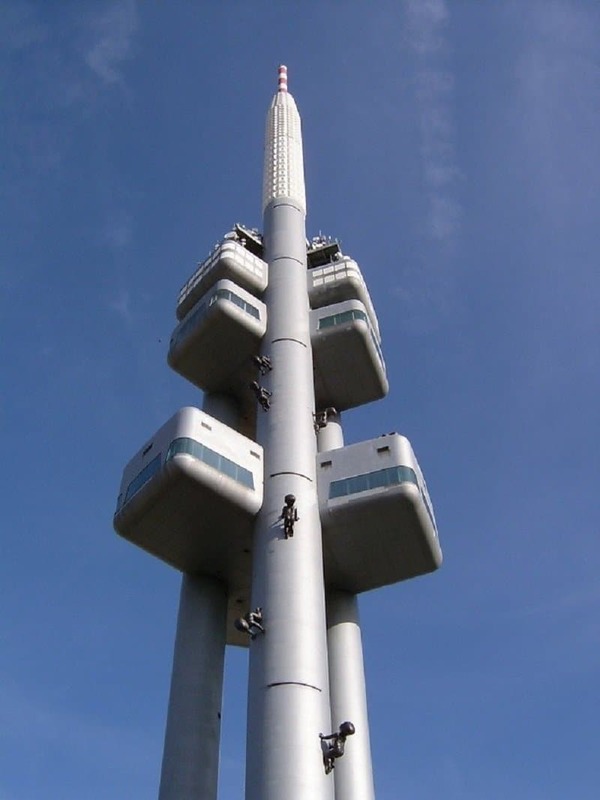 Another extremely weird statue in Prague is the one of the Žižkov Television Tower where what seems like giant babies are shown crawling up the main tower. 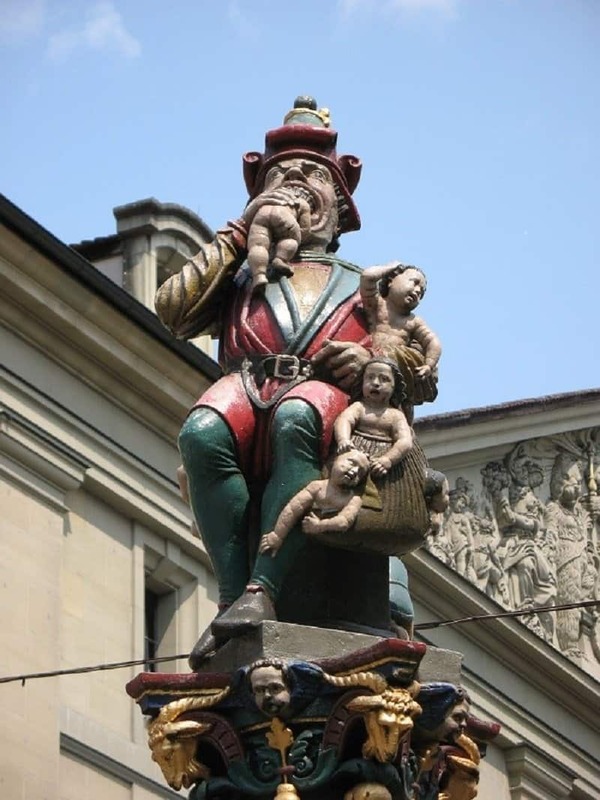 The Fountain in Bern, Switzerland shows a man eating a child while carrying some more in his bag. 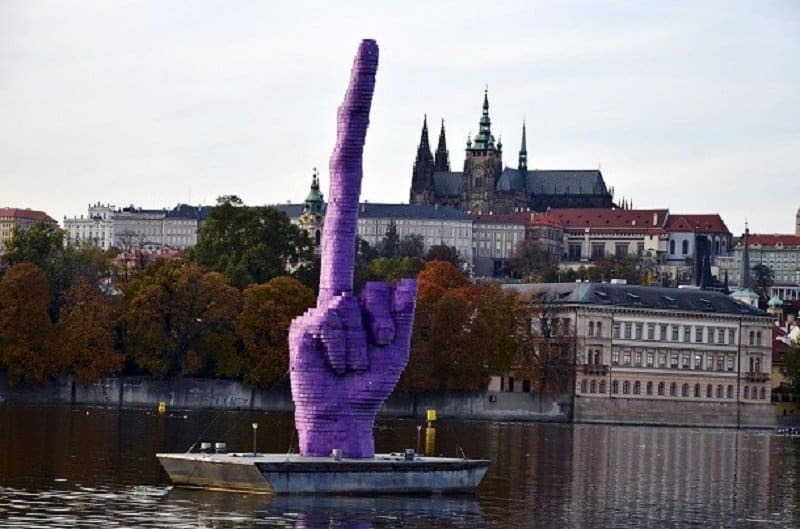 A statue on water called “Gesture” by Czech artist David Černy doesn’t really need much explaining. 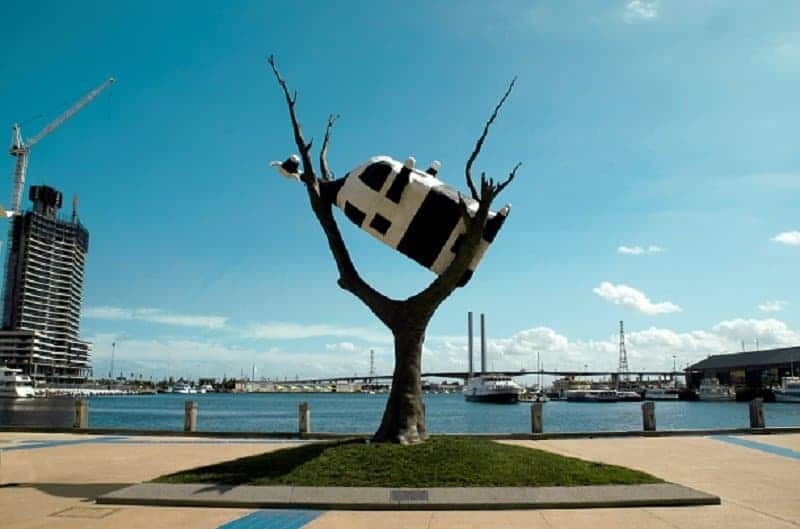 Australia wins at life once again by blessing everyone with this statue of a cow stuck in a tree.